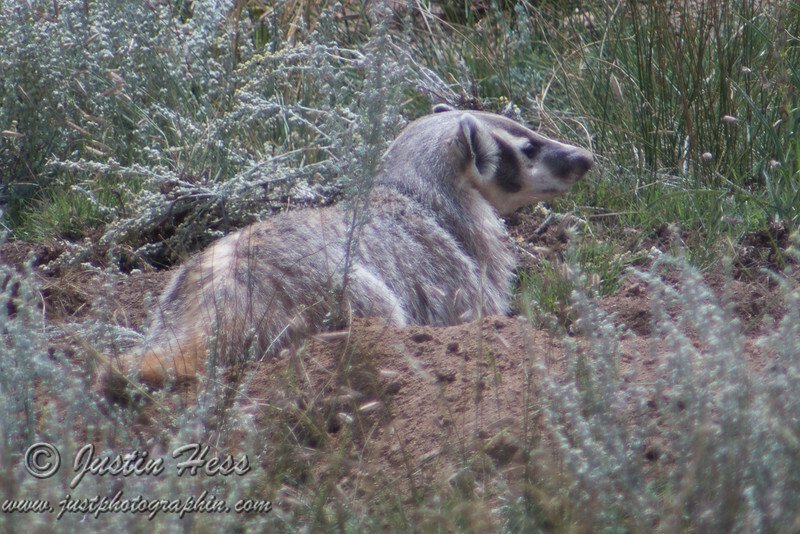 The resident badger was digging a hole after a ground squirrel, which it did eventually capture for lunch. Some of these photos are not sharp because I was using my dad's old lens with all manual settings and focus. They are still worth sharing. Shot with Vivitar 400mm f/5.6 lens and 2x extender = 800mm f/11.